Axel has remained devoted to the notion that cathartic dance floor experiences are inherently fun. At this point in time, Axel Boman is more or less a household name in the world of dance music. 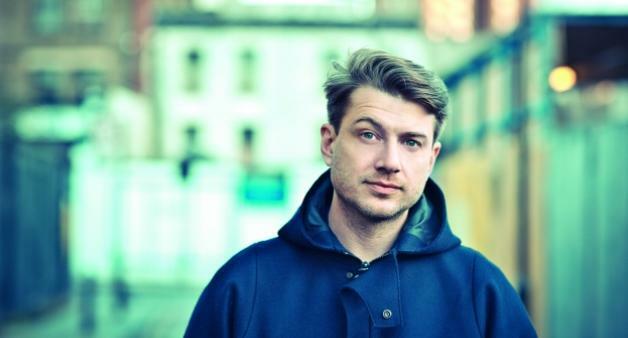 From his earliest productions, such as his seminal releases “Arcimboldo” on Ourvision Recordings and “Purple Drank” on Pampa, to some of his more recent endeavors, such as his revision of Adrian Lux’s “Teenage Crime” on the Studio Barnhus Volym 1 compilation, Axel has remained devoted to the notion that cathartic dance floor experiences are inherently fun. In true Swede fashion, his contributions to musical orphanage that is Studio Barnhus, alongside Kornél Kovács and Petter Nordkvist, have reflected both a fearlessness and playfulness that have made him one of the most enjoyable figures in dance music. Ahead of his return to Chicago to play Smartbar on Saturday, 12.8 we had the opportunity to ask Axel 3 Questions. I come from an artistic family - my mother is an actress and my dad is a scenographer/set designer - so I guess working creatively was always on the map for me. I’ve had some people that pushed me in that direction. First, my cousin Johan Jonason, who is the main reason why I got my MFA at Valand School Of Fine Arts, was always an outsider with crazy ideas and a sharp mind. He basically just told me what to apply to schools with to get in and it worked. At Valand I met Esther Shalev Gertz who was one of the professors and she pushed everyone hard to think about WHY you create and for WHO - these questions are interesting to apply on your work no matter what it is. Last I say DJ Koze has been super influential both inspirationally and career-wise. They all share some kind of outsider position looking in on the world and feel related to that. how does where you are (personally, geographically, historically, etc.) impact the work you create? how does Chicago, Stockholm, etc., factor into that equation, if at all? I’m certain that growing up in Scandinavia has given me some sense of safety to pursue things without having a clear idea where they are heading. Maybe it has to do with the comfort of a social safety net from Sweden, family and friends. This kind of risk-taking and optimistic outlook on life is quite typical for Swedes even though we are deeply depressed every long, dark winter. This time of dark isolation could also provide fuel for working since you’re not distracted by sunsets, BBQs, drinking outside or bike rides. TO MAKE MONEY! No, but I like to think that I can provide a distraction from the ordinary and while doing so, paint a picture of how I see the world. [Maybe that] leads to someone expanding their inner universe and maybe enough experiences like that makes you not want to kill your fellow man and take care of your child. This could be the role of the artist and I think its very important, even though I fear the artist is too high up in the Tower of Babel to reach the people that need them most.